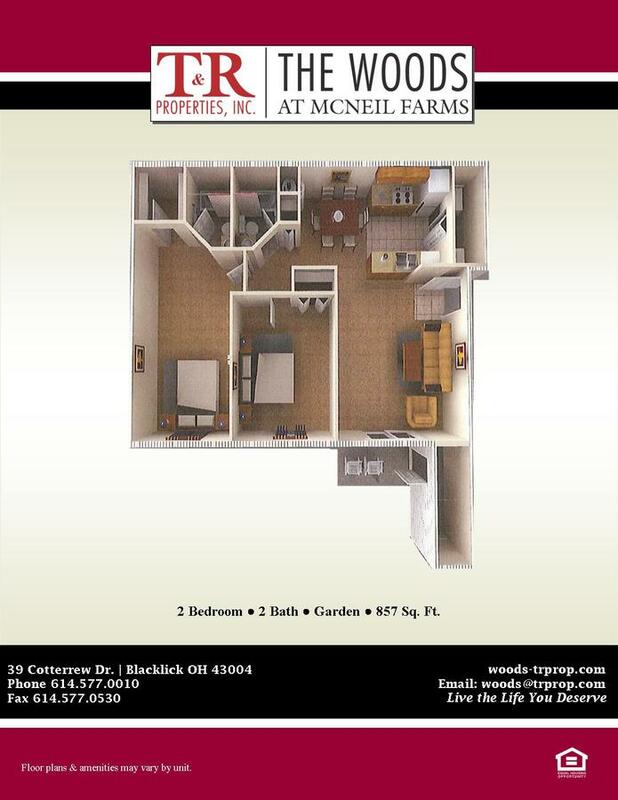 Just east of downtown Columbus, residents of The Woods at McNeil Farms enjoy living in a secluded park-like setting with expansive lawns and mature trees while being less than 10 miles from some of the best shopping, dining, and recreation Columbus has to offer. Easton Town Center is just minutes away! Our courteous and knowledgeable leasing staff is eager to help you find just the right home for your individual needs. 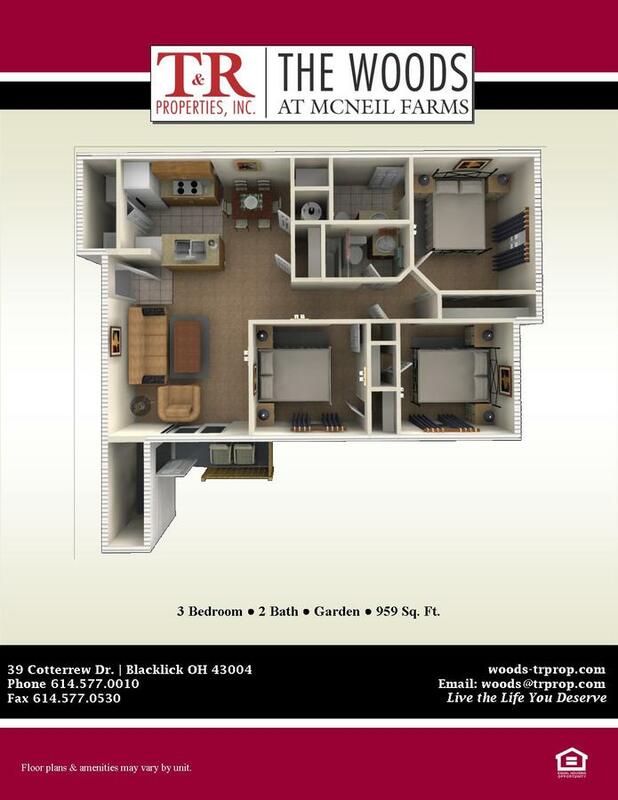 Whether you are looking for a one, two, or three bedroom model, one of our seven spacious floor plans is bound to suit your lifestyle. Once you factor in amenities like a sparkling pool, on-site laundry, and a nature trail, we’re confident you won’t want to live anywhere else. 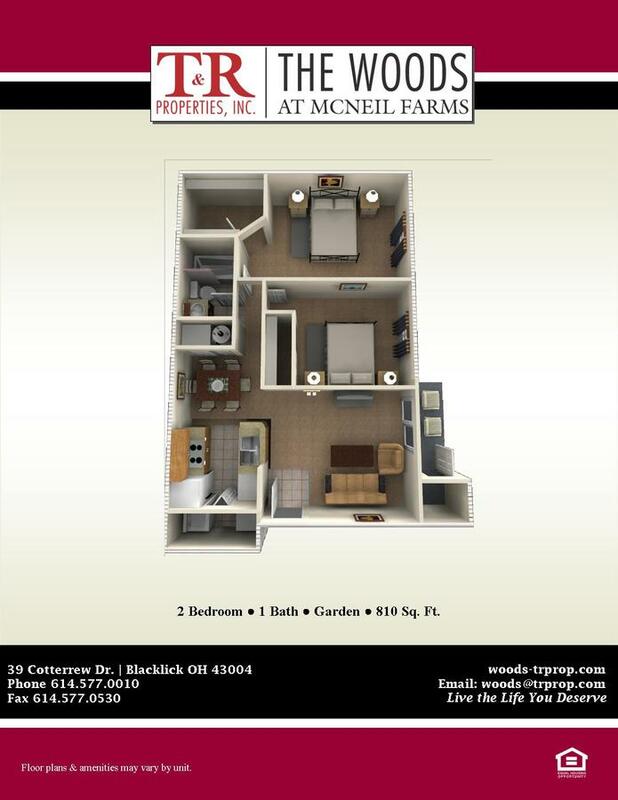 Live the life you deserve at The Woods at McNeil Farms. 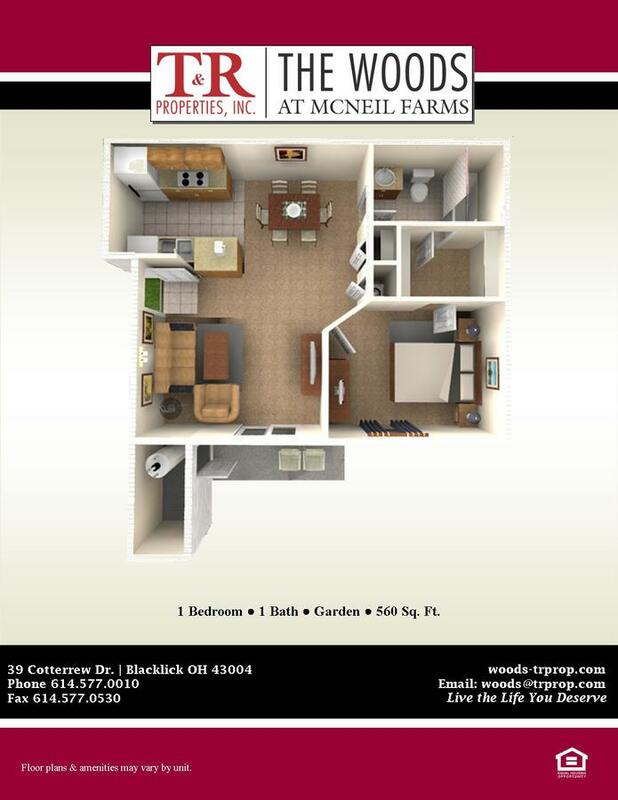 The Woods at McNeil Farms is located and 9.58 miles from Columbus State Community College. The property has a Walkscore of 25, so you will probably be driving or taking public transportation most of the time. The Woods at McNeil Farms has many shops nearby. Coffee shops in the area include Tim Hortons, Starbucks, 5 Bean Coffee. There are a number of markets in the area include Meijer, Kroger, HSU & Co. Health Food Store East.